ABC13 meteorologist David Tillman reports from Oklahoma, which is bracing for more severe weather. NORMAN, Oklahoma -- Officials say a tornado has touched down in a rural area of southwestern Oklahoma with no injuries or damage reported. 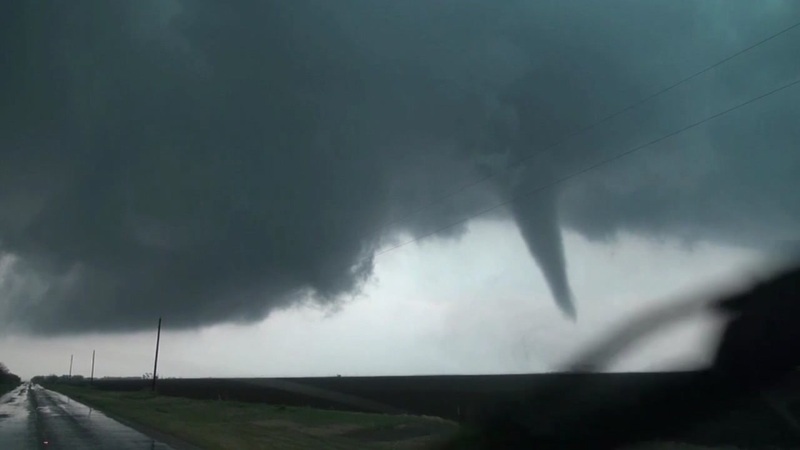 Jackson County Emergency Management Director Wayne Cain says the tornado touched down Thursday afternoon near the town of Duke, about 130 miles southwest of Oklahoma City. Cain said no injuries or damage are reported. Forecasters say storms could bring significant and "intense" tornadoes to the Southern Plains Thursday afternoon and night, and at midday issued a "particularly dangerous situation" tornado watch for western Oklahoma and western north Texas. More storms are possible later in the day in the lower Great Lakes region. Storms have battered the central United States all week, with deaths reported Tuesday in Oklahoma and Wisconsin, and in Iowa on Wednesday. Meteorologist David Tillman has some safety tips you can use to keep your family safe in the event of a tornado.